Birthmarks are spots that appear on the body at the time of the birth or a few days after. These can form on any part of the body and are caused by the overgrowth of arteries, fat components or fibroblasts. Most birthmarks are tiny and bear no risk to the health, but there can be exceptions. In both cases, birthmarks may alter your appearance and give rise to poor self-esteem and self-confidence. Birthmarks treatment in Dubai varies from topical creams and ointments to surgical and laser removal. There are some effective products that can help you reduce the appearance of birthmarks but they are highly dependent on the severity of your condition. It is recommended to consult a dermatologist in order to find the best one for you. This is the most advanced and surprisingly effective birthmarks removal treatment in Dubai. It utilizes laser beams to lighten the color of the marks and ultimately removes them completely. If you are unable to remove your birthmarks through any non-surgical method, you may need to undergo a proper surgical procedure to get rid of them. 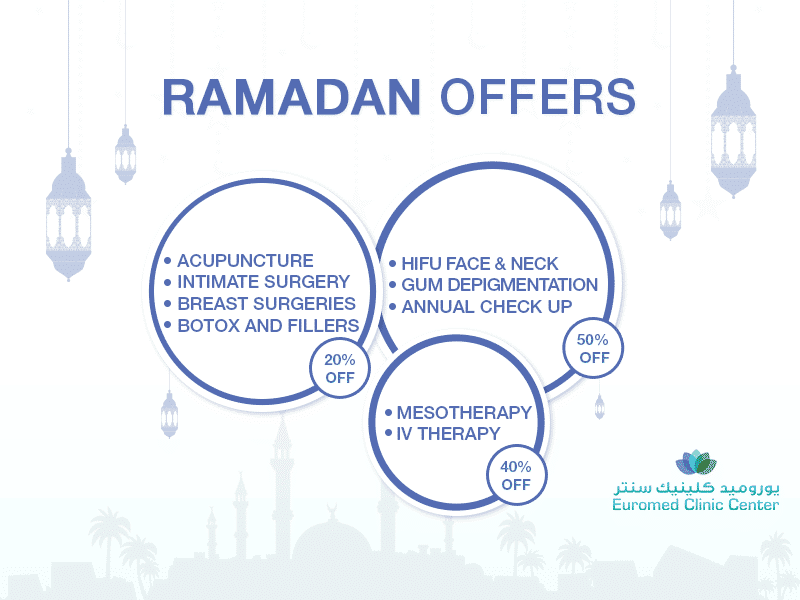 At Euromed, excision technique is used as a birthmarks removal treatment in Dubai. Laser therapy is mostly chosen treatment for birthmarks removal. It requires 15 to 30 minutes to remove the marks depending upon the size, shape, and color. Talk about your medical history (if any) at the pre-op meeting. In most cases, laser treatment is completely painless, but to ensure patient comfort a numbing cream is used to numb the area before treating it. Subsequent to desensitizing the treatment zone, the therapist will move laser machine over the skin to diminish the size and fade the shade of birthmarks. The birthmarks removal treatment in Dubai can be completely painless and non-invasive procedure if laser is used. However, in the case of any pain or distress, a local anesthesia is administered to make the treatment comfortable for you. There is no downtime and you can get back to your normal routine right after the treatment. However, you need to follow post-procedure care instructions of your doctor to get best results. It takes under an hour, depending upon the area of the treatment and your desired results. Some patient may get immediate results while getting a noticeable difference in their appearance while others may take 4-6 sessions to completely remove the birthmarks. With one of the Best Dermatologists in Dubai now at Euromed, we can help you get rid of the unwanted marks without any complications. Why not sign up for a consultation by taking a moment to fill in the consultation form?